Ten years after its release, the Supreme x Nike SB Blazer continues to inspire. 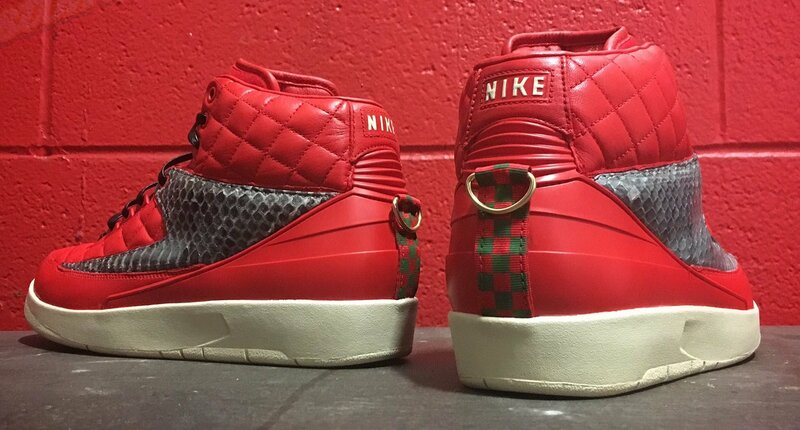 A longtime fan of the popular release, sneaker customizer Mache imagined what the shoe&apos;s style would look like when applied to the Air Jordan 2 following the launch of Don C&apos;s quilted collaboration. Finally having the opportunity to execute his idea, Mache has unveiled his reconstruction, which features a red leather upper, grey python panels and the D-ring pull-tabs from the Blazers. This obviously isn&apos;t the kind of shoe that can be mass produced, but you can make inquiries for your own hybrid concepts at machecustoms.com.